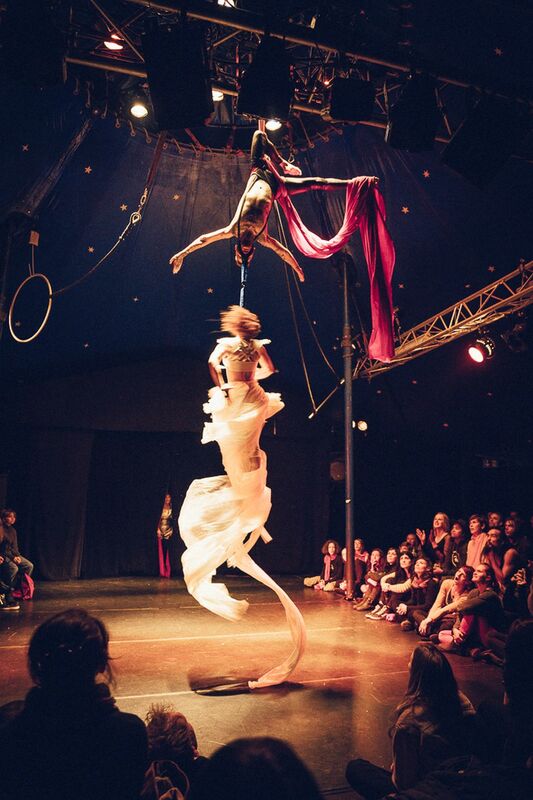 Captain Nat Cat (renowned handstand artist and Jacksons Lane regular Natalie Reckert) leads an ensemble of five Berlin-based circus outcasts brought together by a shared obsession with all things circular. 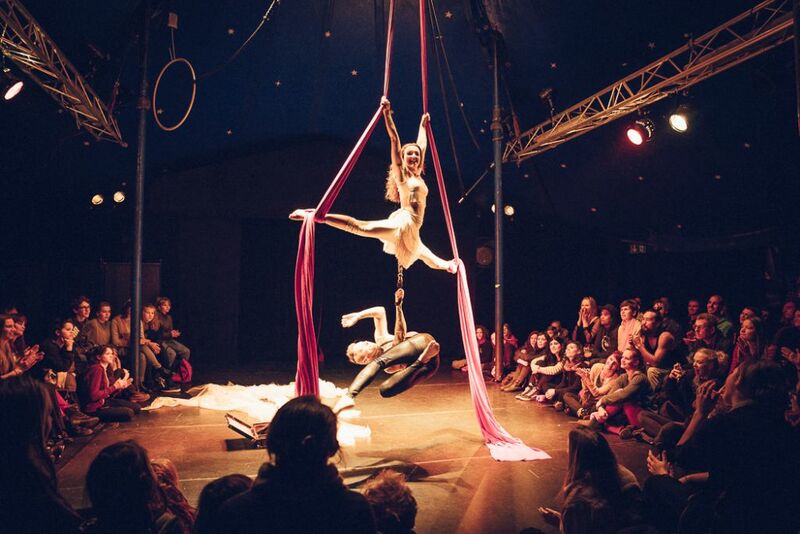 Expect aerial magnificence, virtuoso handstands (on eggs), juggling dexterity, mesmerising flashing hula hoops and all manner of antics inspired by the sordid underside of Berlin’s cabaret scene. 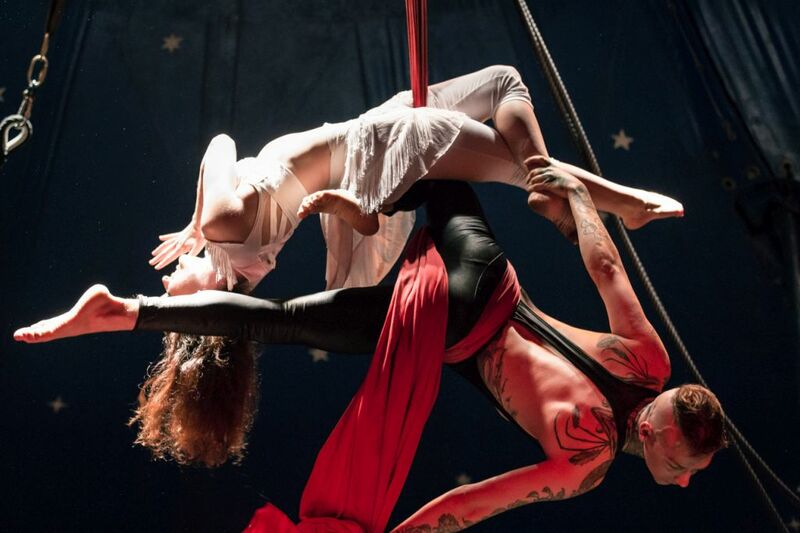 From Latvia, tattoo and aerial artist Davidos Enriko injects his love of the Berlin nightlife and alternative scene into his silks and trapeze performances. Anne Hemkendreis, a doctor of art history, brings a sense of elegance in her gorgeous Georges Méliès inspired aerial hoop number. 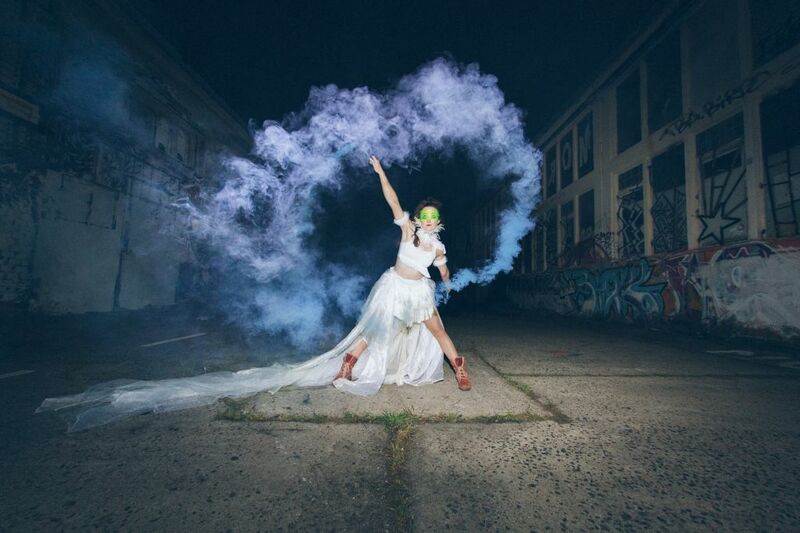 Using her high-level juggling and object manipulation skills, Kathrin Wagner adds her award winning acts to the mix. 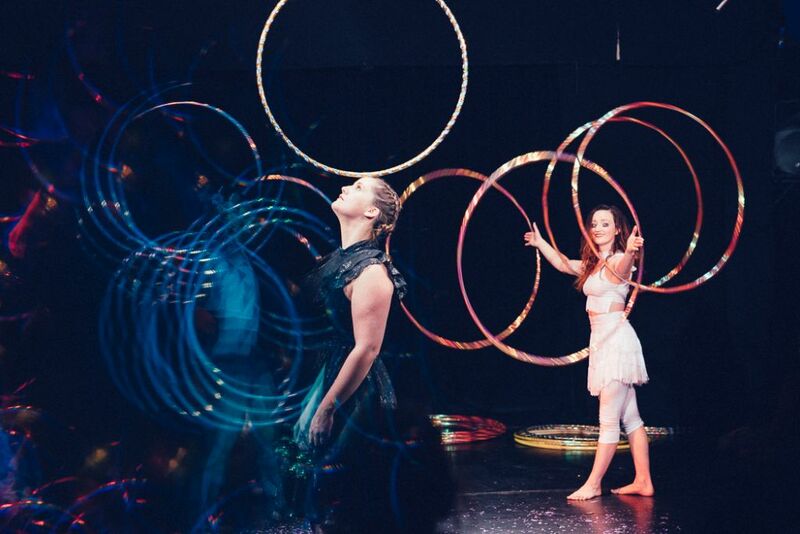 Multi-discipline English circus artist Jessie Rose presents her programmable mesmerising LED hoops and aerial prowess. 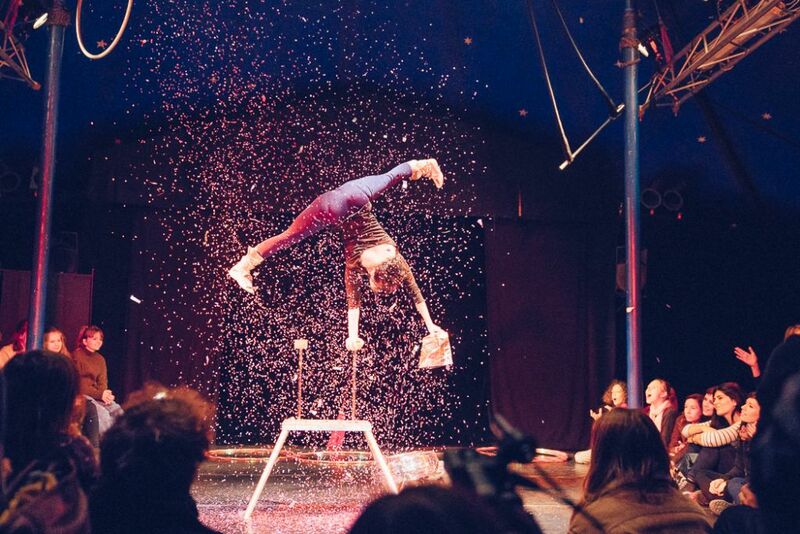 And pulling it all together, handstand master Natalie Reckert is captain of your spaceship for the evening, with world-class balancing and hilarious antics.